TAN Sri Zainuddin Maidin, who died on Friday, and teh tarik were just inseparable. 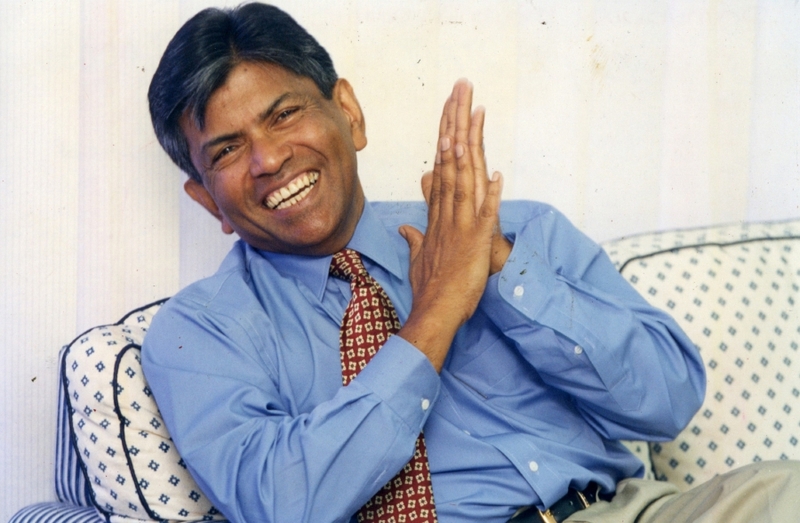 Everyone who knew the veteran journalist would have a story to tell about Zam’s love for the national drink. I have mine too. We were on an assignment to accompany Tun Dr Mahathir Mohamad on his first visit to South America. We were on a Malaysia Airlines (MAS) chartered flight. The year was 1991 and Dr Mahathir was then the prime minister set on bringing the world to invest in Malaysia. It was also the first time that MAS had ever flown on a South American route. However, Zam had one problem when flying. He confessed that he couldn’t sleep when he’s flying. He would be awake throughout the flight. On that flight, he had countless cups of teh tarik to keep him company while the rest of us would doze off. To fight his boredom, Zam would walk the aisle and chat with those he knew. The trip took us to Chile, Brazil and Argentina. The whole plane was filled with several cabinet ministers and some of the top names in corporate Malaysia. Dr Mahathir would take the captains of industry on such trips to get them to look for business opportunities. Once we started ground visits as we covered Dr Mahathir’s meetings and press conferences, Zam was restless. Not many people knew why. One evening he confessed that he was missing his daily dose of teh tarik! I missed mine too! And thus began our hunt for full condensed milk, a key ingredient in making the life-giving inspiring concoction. I finally located a sundry shop selling condensed milk. With the help of the hotel staff where we were staying, I managed to get into the kitchen and made teh tarik for Zam and myself. Life returned to normal after that. In the journalistic fraternity, Zam was already a household name. He was the editor-in-chief of the Utusan Group. This was a man who started his career as a journalist by being a stringer, a term used in the newsroom to describe a part-time reporter. A stringer will get paid for work done. If there’s no article from the person, then there’s no income. He started in 1951 and later rose to become the group’s numero uno in the newsroom. Not a small achievement by any standard. 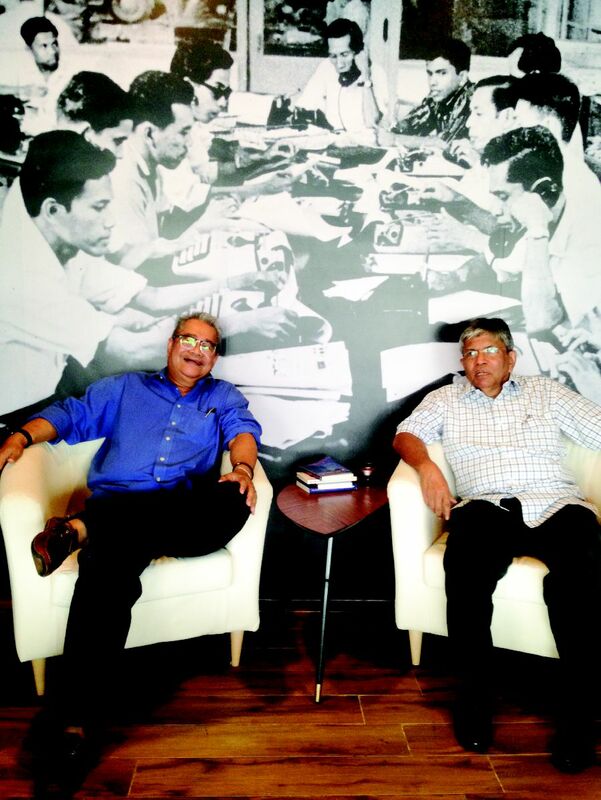 The late Tan Sri Zainuddin Maidin and the writer posing in his Newsroom Cafe at Precinct 8, Putrajaya. The cafe has since closed. Many years after his retirement, Zam ventured into the food and beverage business. He opened a small café called Newsroom in Putrajaya, which was not far from his house. His café offered nasi lemak, kueh Melayu, poached eggs and the inevitable teh tarik. Many friends would drop by for tea. His café was full of reminders of his love and passion for the profession he so loved. There were pictures of him at work and the coffee tables had newspaper pages as table tops. He also had a small office for him to do some writing or contemplate. Tan Sri Johan Jaaffar, who took over from Zam as Utusan’s editor-in-chief, has this to say about his friend and teh tarik buddy. One thing you must recognise is the comradeship of Utusan journalists, past and present. For most of the 52 Sundays in the year, some of them would gather at a mamak stall at Jalan Masjid India for breakfast, where they would analyse the goings-on in the country and elsewhere. This has been a tradition for years. Johan said: “Zam was a graduate of the hard-knocks school of journalism. He gained experience and knowledge by sheer tenacity and dedication. He learned the hard way. He endured criticisms and condemnation for his views and the positions he chose to take. 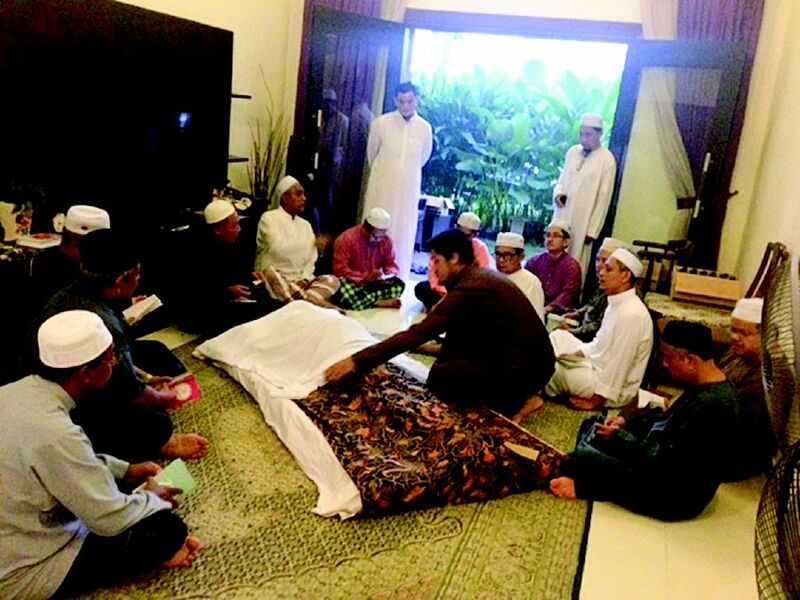 Early morning visitors paying their last respects to the late Tan Sri Zainuddin Maidin at his residence in Putrajaya. “He soldiered on. He fought his battles against religious extremism, chauvinism and narrow-minded views — leaving no prisoners in his wake. “He’s the most opinionated journalist I’ve ever known. And he’s relentless in his pursuit of journalistic excellence. We’ve lost a shining star in the constellation of our profession. Baharom Matusin, another of Zam’s long line of proteges, described Zam as a firm leader but a softie at heart. I met him at Zam’s house early yesterday morning. Baharom said Zam had given specific instructions to him to make sure that his books are donated to the Islamic University in Putrajaya. Zam’s love for teh tarik was well known. “Zam would go through traffic jams to go to Masjid India for his teh tarik fix,” said Baharom. rejoin the meeting. Soon after, Zam’s secretary would enter the room informing her boss that his “cucu” (grandchild) wanted to speak on the phone. Zam’s ranting would stop automatically and life returned to normal. Farewell, my dear friend. You were one of the old school journalists who took down notes using the Jawi script, if I recall correctly. You will be forever remembered. May you be grouped among the righteous.